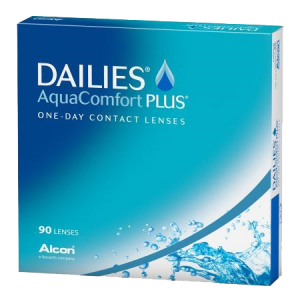 Alcon’s Dailies Total 1 is the first and only water gradient contact lens. It has a silicone core, sandwiched between an outer and inner layer of an ultrasoft hydrophilic surface that boasts greater than 80% water content. Dailies Total 1 are great for patients that suffer from contact lens-related dryness and for patients that have difficulty tolerating sustained contact lens wear. Instantly fresh and comfortable at insertion. Brand new pair every day. 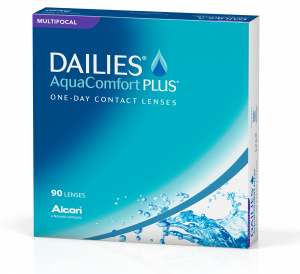 DAILIES TOTAL1® Multifocal contact lenses, by Alcon®, features a breakthrough water gradient design for people with presbyopia. A silky-smooth surface and superior breathability offer all-day comfort, while a multifocal design creates seamless transition between distant, intermediate, and near vision. DAILIES TOTAL1® Multifocal contact lenses are the first and only water gradient lenses designed for people with presbyopia. DAILIES TOTAL1® Multifocal is the perfect choice when looking for both superior comfort and breathability. 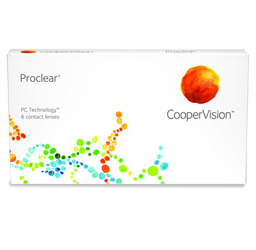 CooperVision designed CooperVision®MyDay® to provide everything you need for an exceptional overall daily disposable experience: uncompromised comfort, easy lens insertion and removal, and a highly breathable lens that helps provides a healthier lens wearing experience. uncompromised comfort, easy lens insertion and removal, and a highly breathable lens that helps provides a healthier lens wearing experience. Ready to order your contacts? Order online!